Yosemite may not be the first national park, but it’s certainly among the most popular and beloved. Home to stunning megaliths of rock, beautiful waterfalls, and a sweeping valley that captures the heart of every traveler who lays eyes on it – just like it did to John Muir. I took a weekend trip to Yosemite a few years ago, and I basically ignored everything in this post I’m about to share. Read on to learn from my mistakes and get inspiration for what to see and do in Yosemite with this guide and suggested three-day itinerary. The main part of Yosemite National Park – the Yosemite Valley – is a four-hour drive from San Francisco. If you fly into Oakland or San Jose airport instead of San Francisco, you can cut that time down to about 3 hours and 30 minutes. From the Bay Area, you’ll head east toward the Sierra Nevada mountains. Most of the drive will pass through California’s Central Valley. This drive will give you sweeping views across a major part of California’s agricultural heart. 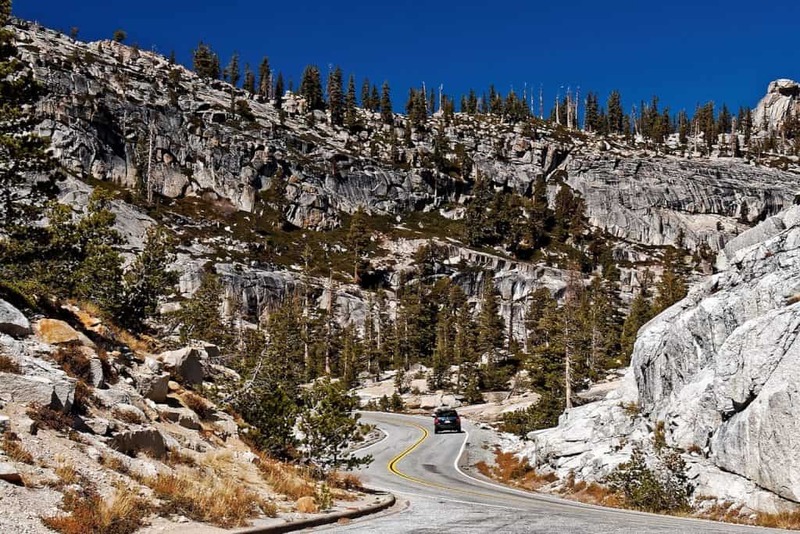 In the last hour of the drive, you’ll head into the foothills of the Sierra Nevadas, which makes for a fun winding drive up into the mountains. It’s also possible to get to Yosemite without a car. To do so, you’ll need to take the BART to the Richmond station, catch the Amtrak to Merced, and then ride the YARTS bus to into Yosemite National Park. Yosemite National Park is great a visit year round. 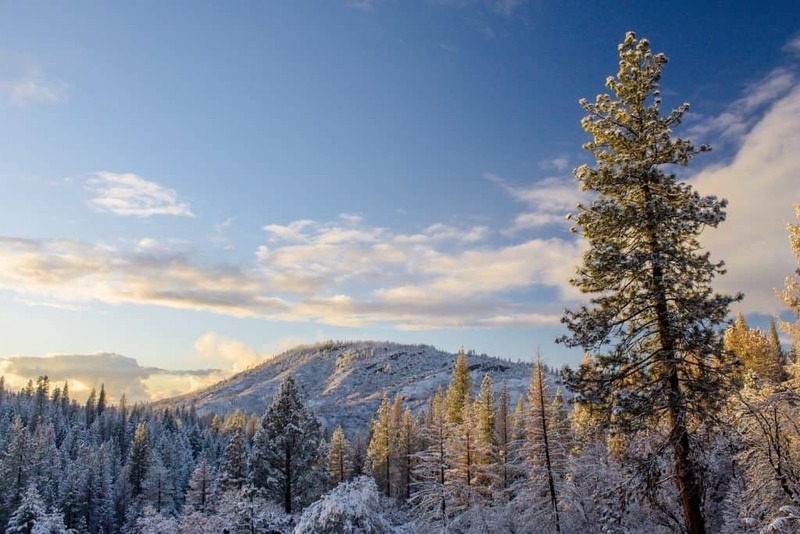 In the spring and summer, you can enjoy great weather and summer outdoor activities like hiking and climbing; in the autumn and winter, heavy snowfall in the Sierras make Yosemite a great destination for winter hiking, downhill and cross-country skiing, and snowshoeing. No matter what time of year you plan to visit Yosemite, you’re sure to have an unforgettable trip. In addition to considering what time of year to visit, plan your trip to avoid the crowds. If you plan a trip on the weekends or holidays, crowds at Yosemite are unbelievable (or unbearable). Visiting Friday through Monday – especially on holiday weekends throughout the year –, prepare for traffic and crowds; instead, arrive on Monday and stay through Thursday to experience the fewest crowds possible. Because you’re visiting a national park, if you want to stay inside the park your options are a bit limited. Also depending on when you visit Yosemite during the year, your accommodation options will differ. The main options you have are hotels, including the Majestic Yosemite Lodge, the Yosemite Valley Lodge, or the historic Big Trees Lodge and White Wolf Lodge. The Glacier Point Ski Hut is open only in the winter if you’re keen to be in the heart of it while skiing in Yosemite. For canvas tent camping options, you can stay at Housekeeping Camp, Half Dome Village, or Tuolumne Meadows Lodge. Lastly, there are over a dozen more traditional campgrounds managed by the National Park Service. If you’re open to staying outside the park and driving a bit more, there are plenty of fantastic options. 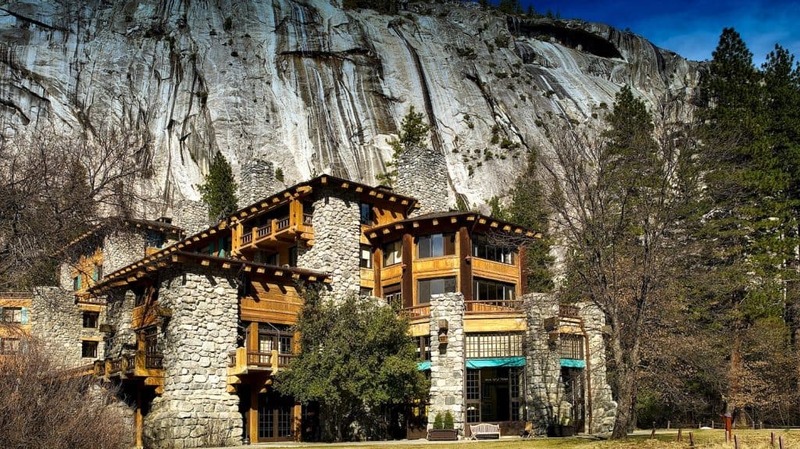 South of the park, Tenaya Lodge at Yosemite offers luxury at a good price. North of the park, I stayed at The Groveland Hotel on my first trip to Yosemite and it’s undergone a change of ownership and big upgrade since I visited. A great close option is Yosemite View Lodge in El Portal, right near the edge of the park. Obviously, it’s all a matter of what you’re willing to spend and how close to the park you want to stay. Whether it’s the historic charm of the Majestic Yosemite Hotel in the heart of the park, camping in one of the alpine meadows, or the mod Groveland Hotel north of the park border, there’s a wide range of options for any budget. Bridalveil Fall is by far the most popular waterfall in Yosemite National Park, taking its name from its delicate appearance as it cascades down to the valley floor. There’s a 0.5-mile trail from the parking area to give you a great view of the 620-foot waterfall. In the spring and summer, expect to experience a good mist as you hike near the falls; in the winter, that mist makes the trails slick with ice. 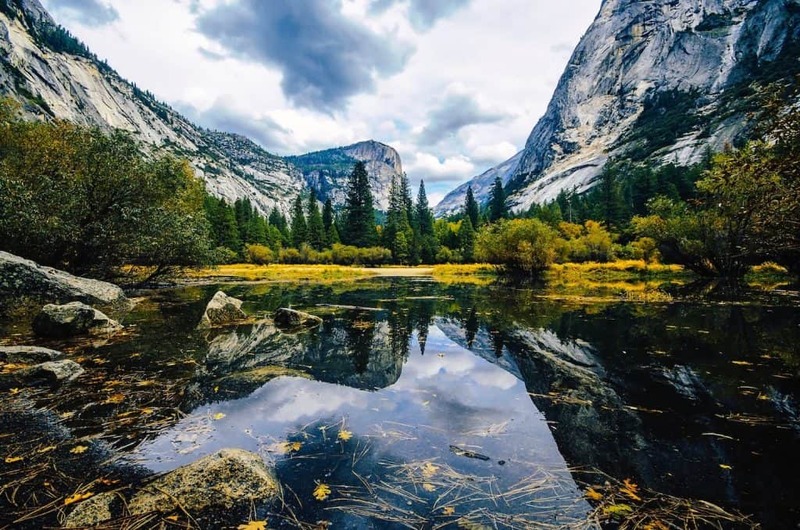 Located outside the Yosemite Valley, Cathedral Peak and Cathedral Lakes are a bit off the heavily-trodden path for visitors – but stunningly beautiful if you’re willing to make the trek. Cathedral Peak rises to 10,912 feet in elevation and is a popular rock climbing destination. Located at the feet of Cathedral Peak, an eight-mile trail allows you to hike to both Upper and Lower Cathedral Lakes. If you want an ambitious hike with stunning views and fewer crowds, Clouds Rest should top your list. A 14.5-mile out-and-back trail will take the full day, but it’s well worth it. From the top of Clouds Rest, you’ll have 360-degree views that make it seem like you can see the whole world. Note that this trail is not for the faint of heart – it’s not the most strenuous hike in Yosemite, but it’s guaranteed to make anyone nervous about heights feel weak in the knees. El Capitan is one of the two most well-known sights in Yosemite (along with Half Dome), and it’s best viewed from various points throughout the park. While some overly ambitious rock climbing folks have tried (and succeeded/failed) to ascend the 3,000-foot vertical wall, that option is not available unless you’re professionally trained. Instead, if you’re really set on reaching the top, there are a couple options, all ambitious: a 5.6-mile extension of Yosemite Falls Trailhead, 9.7 miles from the Big Oak Flat Road, or almost 17 miles from Tamarack Flat. Glacier Point is one of the best viewpoints in Yosemite and can be reached by car in the summer for those who want to take in the view without breaking a sweat. In the winter, it’s a 10.5-mile ski to reach the view. From the top, look down on Yosemite Valley and see Half Dome and Yosemite Falls. For all these reasons, it’s one of the most popular spots in the park and you should expect crowds any day you visit. The second highly recognizable sight in Yosemite National Park, Half Dome is likely what you think of you’re picturing Yosemite in your mind’s eye. Half Dome rises some 5,000 feet above the floor of Yosemite Valley and is one of the most ambitious “popular” hikes you can undertake. The 14- to 16-mile round-trip hike takes most people between 10-12 hours – so start with the sunrise if you don’t want to be hiking in the dark. Oh, and you’ll need a permit! If all that still sounds exciting, start planning and you too can enjoy the stunning views from atop this massive mountain. An easy hike, Mirror Lake is a good option if you want to be awed by the great outdoors without committing to a half-day or full day hike. Mirror Lake, as its name suggests, is a beautiful lake where you can see Mt. Watkins reflected on a clear day. You can make a two-mile out-and-back hike to the lake, or opt for the full five-mile loop around the lake – both have minimal elevation change, making them a good option for less outdoorsy types like me. Tenaya Lake is located between Yosemite Valley and Tuolumne Meadows, north of the main part of the park most people visit. Located along Highway 120, you can stop for a walk along the shores of Tenaya Lake as you explore this part of the park. There’s a 2.5-mile loop around the lake; in the summer, take the route counter-clockwise and you can stop and cool your feet on the sandy beach along the east side of the lake. Tunnel View is the postcard view of Yosemite you’re thinking of right now. This scenic pullout offers a panoramic vista of the Yosemite Valley including El Capitan, Bridalveil Fall, and Half Dome, and it’s the perfect spot for an Instagram shoot – if that’s your style. Most people visit Yosemite for the craggy peaks, but the Sierra Nevadas are also home to Giant Sequoia trees – and I’d be remiss if I didn’t recommend seeing them too while you’re in the area. Tuolumne Grove is a great spot to do so, northwest of Yosemite Valley. 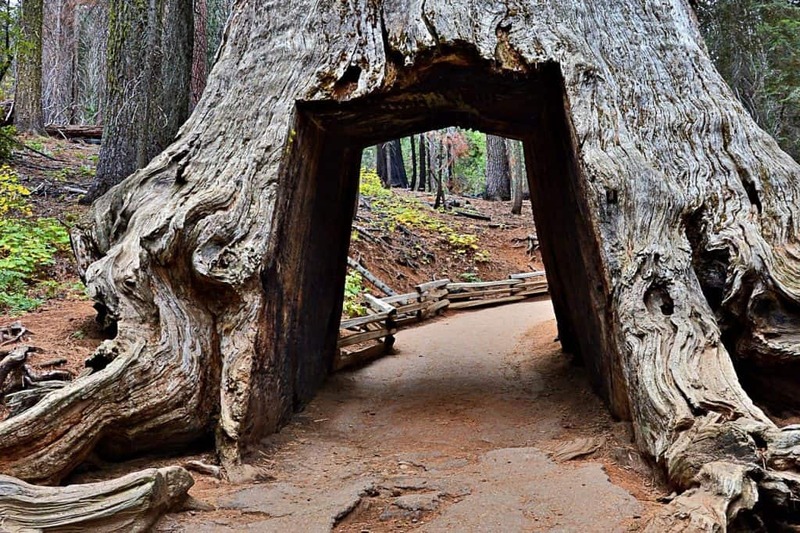 You can hike the 2.5-mile trail to stand among the most massive trees in California. Yosemite Falls is the other picturesque and popular waterfall in the Yosemite Valley, and beautiful to behold from the Valley floor. If you want to see it from another perspective, it’s a 7.2-mile roundtrip hike and climb to the top of the falls, gaining 2,70 feet in elevation in the process. 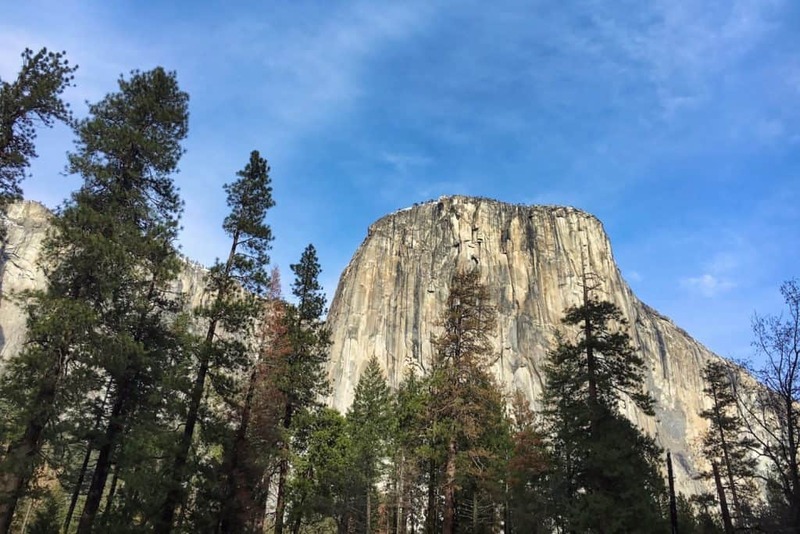 This is also one of Yosemite’s oldest trails, so you can walk in the footsteps of some of America’s great preservationists when climbing this trail. 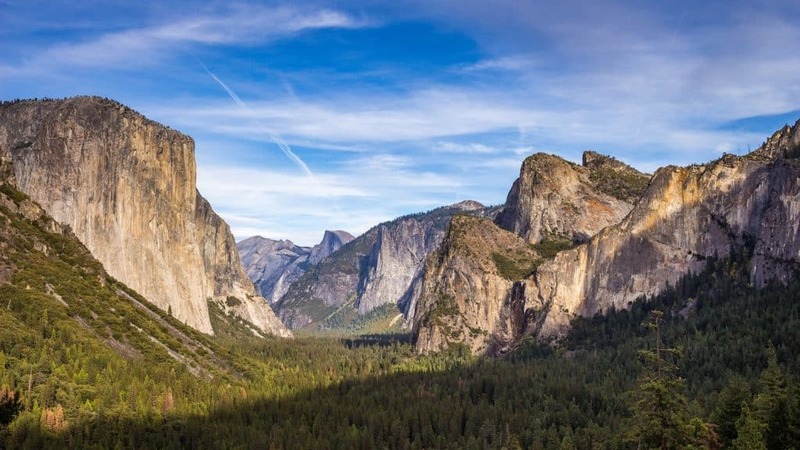 In case you’re not inspired enough for this trip, be sure to plan a stop at the Yosemite Valley Visitor Center (a must-visit for national park aficionados). 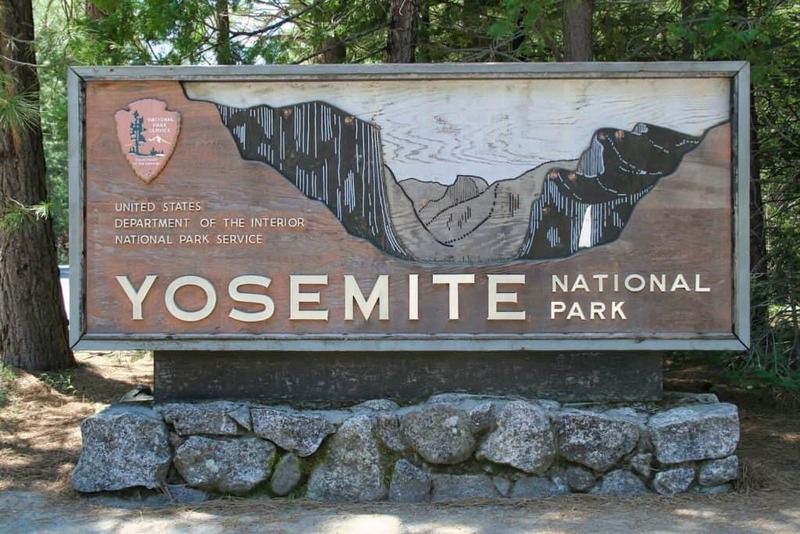 Here you’ll find exhibits about the history and geography of Yosemite, the flora and fauna you might encounter in the park, and maps to help you get oriented. Plus you can meet park rangers to answer any other questions you have. Based on all there is to do, it’s hard to squeeze everything into a single three-day trip – especially if you want to do one or more of the big day-long hikes. 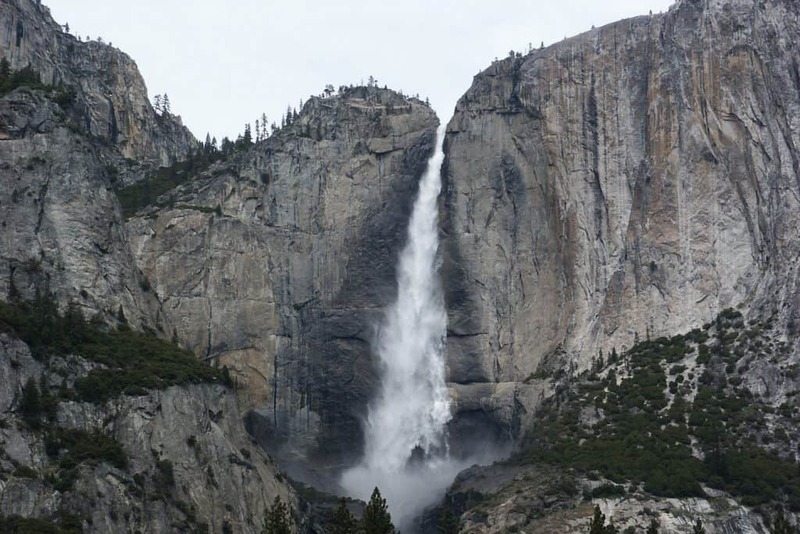 Here is a suggested three-day itinerary for Yosemite, based on my own trip and experiences. On your first day in Yosemite, I recommend taking it easy – not because there’s not much to do, but because there’s so much you’ll need to get your bearings! After a stop at the Visitor Center, head into Yosemite Valley. 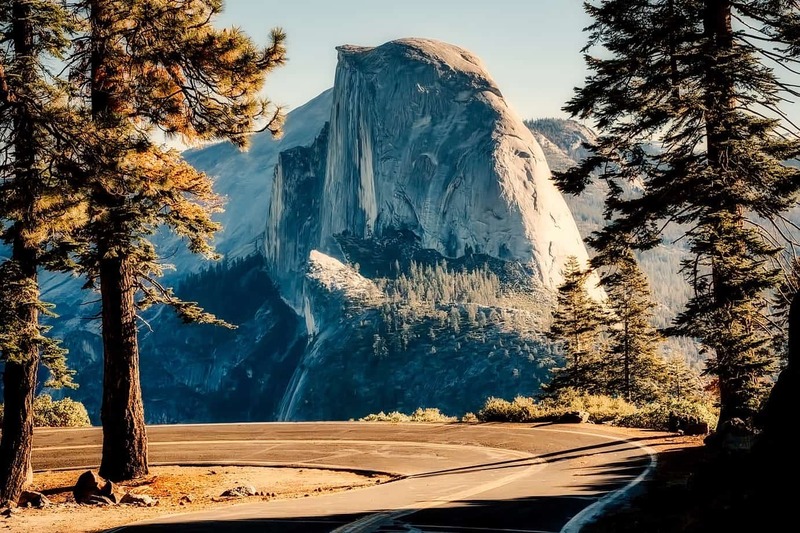 You can drive the loop to see some of the mountain sights like El Capitan and Half Dome, or Yosemite Falls and Bridalveil Fall. You can stop and walk around at some of the main parking areas, plus visit the Majestic Yosemite Lodge for lunch or dinner and admire the view from the huge windows in the dining rooms. Now that you’re oriented to the national park and all it has to offer, plan to get out and explore. Consider making this your hiking day! For a lighter option, you could stroll the train to Bridalveil Fall, do a day hike from Glacier Point, or do the loop at Mirror Lake. If you want to feel the burn, plan ahead and spend the whole day hiking Clouds Rest or El Capitan. No matter which hike(s) you choose, plan ahead with food, water, and sun protection for the day. You can stock up at one of the park stores near your trailhead (the Village Store in Yosemite Village is a good option if you’re staying right in Yosemite Valley). On your third day, get out of Yosemite Valley to see how much else the park has to offer. 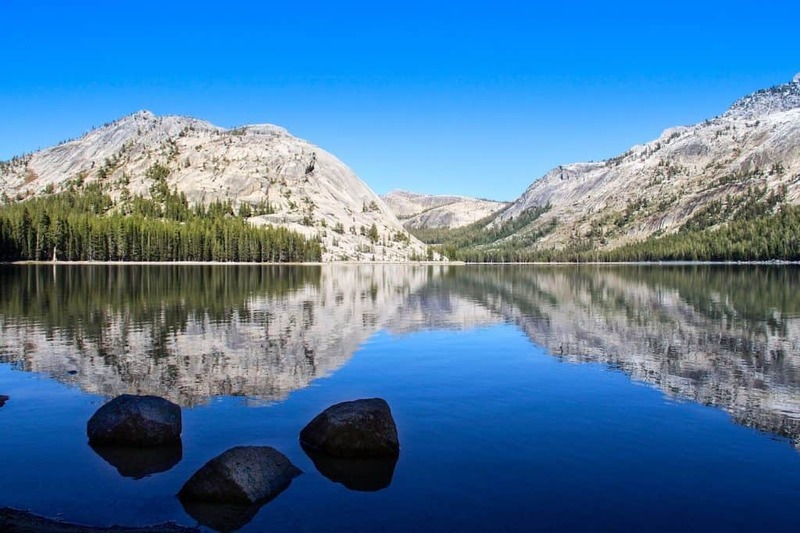 If you’re visiting in warm weather months, head north to Tioga Pass Road where you can hike at Tuolumne Grove or Tenaya Lake. Even Cathedral Lakes is a good option without a ton of elevation gain. Like I said in the title, this is a weekend itinerary full of the great outdoors! If you want to extend your trip, follow Tioga Pass Road to Mono Lake on the eastern side of the Sierras. 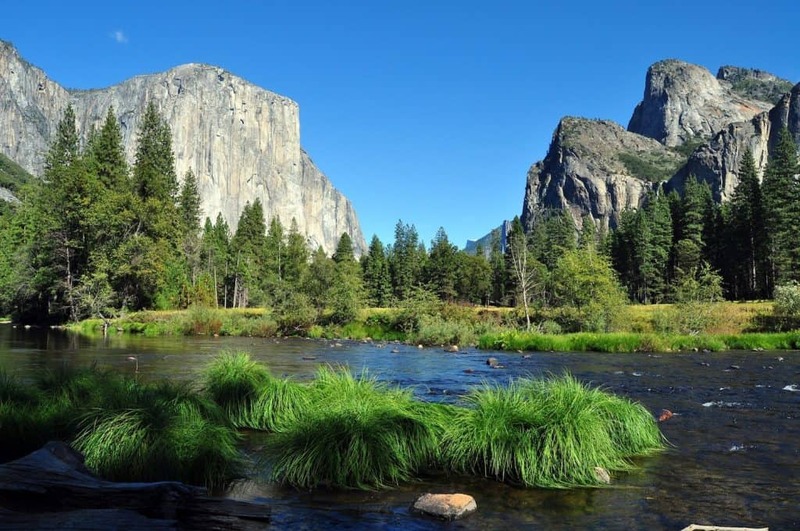 Have questions about visiting Yosemite? Let me know in the comments!